When lost in life, I’ve often looked to travel to be my therapy. I did so on my East Coast roadtrip through the US recently, and it just didn’t seem to really work. Then, I decided that maybe I needed a bit of Africa. I was right. 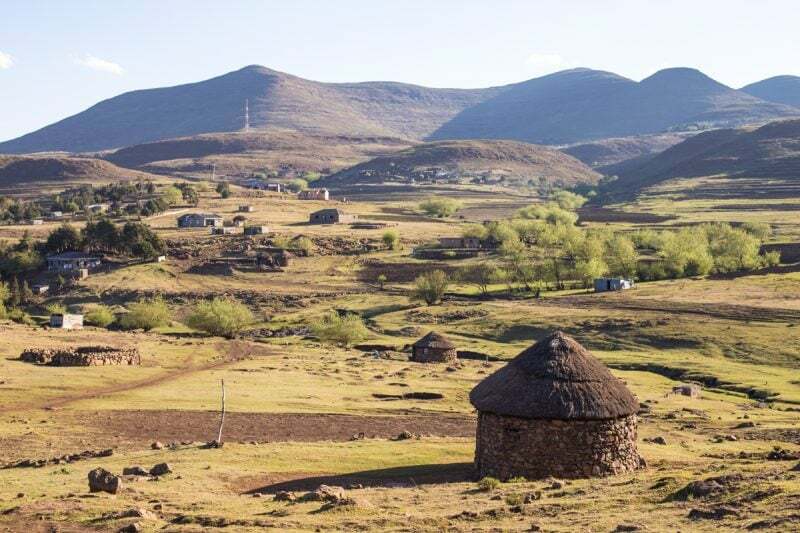 In particular, Lesotho has been the best therapy. 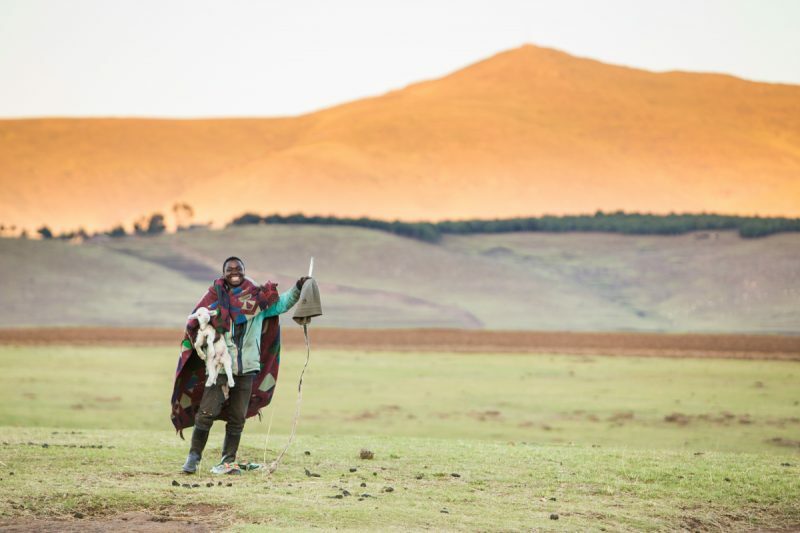 From the second I rolled across the border from South Africa into Lesotho I knew I was going to love it. The ruggedness, the wild attitude, the fierce mountains; it’s just stunning. On my first day in the country, I pushed towards a place called Bokong Nature Reserve. 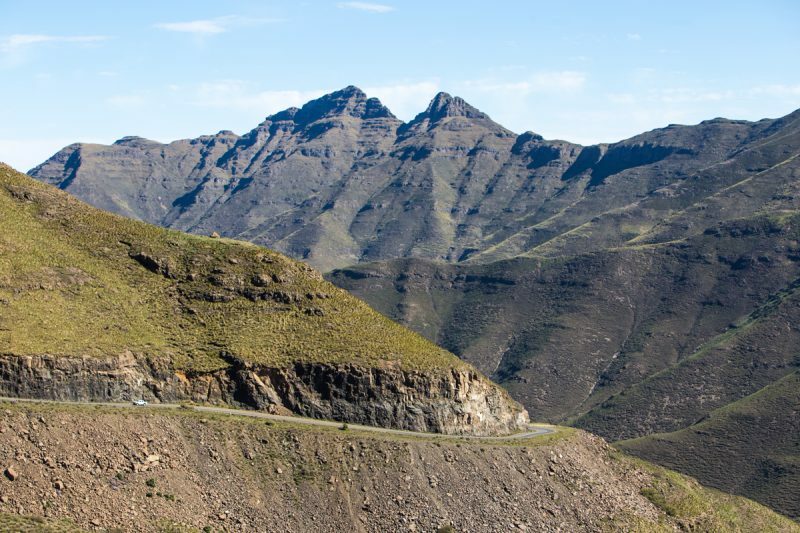 The reserve is over this incredible mountain pass where you drive over 3200m above sea level and through some of the most spectacular scenery. Unfortunately for me, the reserve is closed – and seems to have been closed for a little while. I’m told that they are doing maintenance to the park infrastructure. It’s a shame, because the views from there are special. I would have loved to have been able to sit up there and shoot some images. 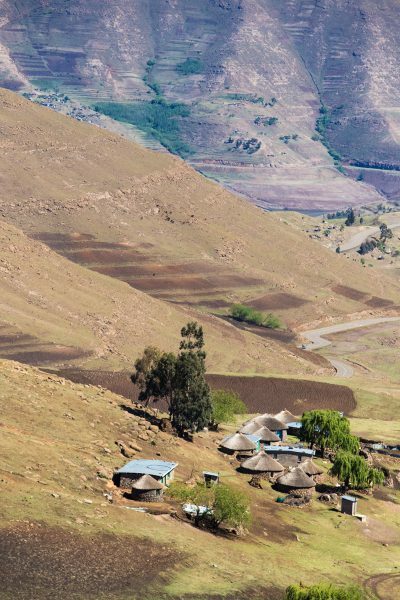 Instead, I drove back an hour to one of the few guesthouses in this part of Lesotho. The following day was a bit of an adventure. When going back down the other side of the pass near Bokong, I smashed into a large rock and bent the rim of my wheel. In doing so, I got a flat tire. 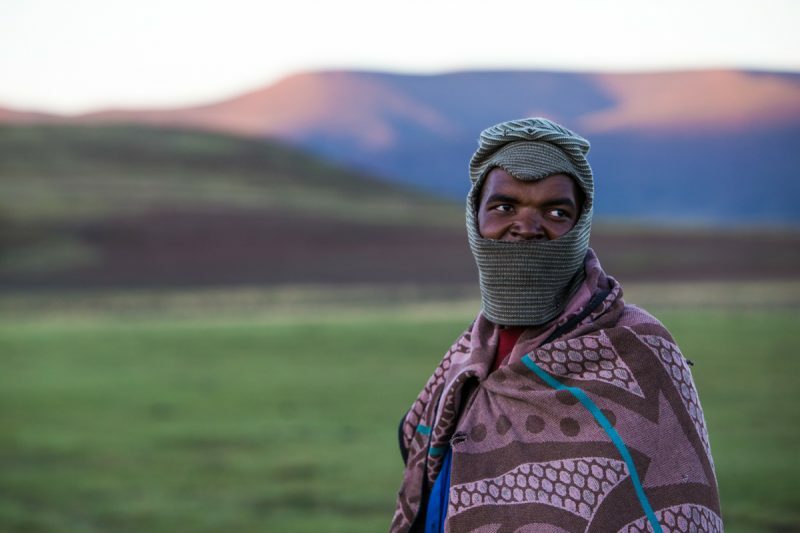 Thankfully, the only tourists I’d seen in all of Lesotho thus far happened to pass by. They lent a hand changing the tire, and I headed off to a bush mechanic to try to repair it. At least the views make it a pleasant place to break down. Thankfully, I found a great bush mechanic at a gas station in basically the middle of nowhere. He hammered the rim back somewhat into shape, and I carried on. Finally, I ended my day in Semonkong where I made a short hike out to a waterfall called Maletsunyane which may be Lesotho’s tourism calling card. It is stunning. I can’t wait to come back out and photograph it in coming days. I’ll show you Melatsunyane Falls on the next post since I have a dedicated post about them. But, for now, here are some more images from the hike out there and back. 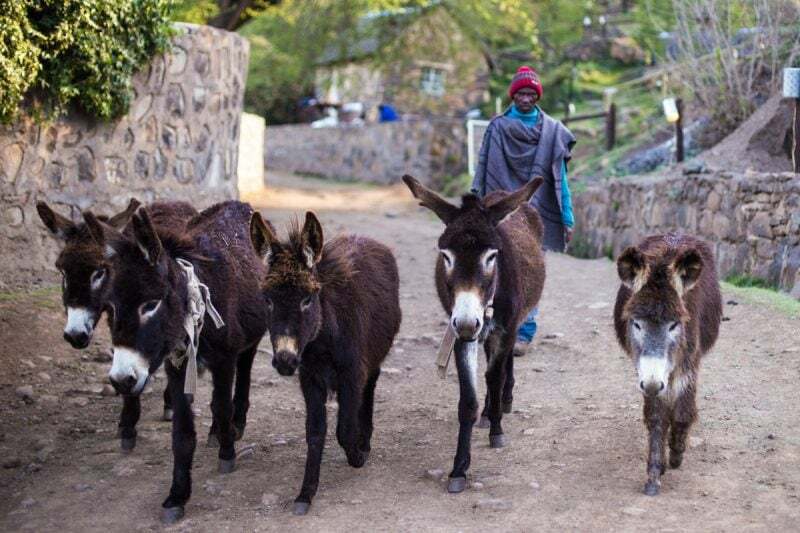 A man herding his donkeys. At Semonkong Lodge you can actually do a pub crawl on donkey-back. I didn’t do it, but you should! Portrait of a Lesotho man. I’ve got at least a full day here in Semonkong, and I plan on spending it with a mix of work, relaxation, and then a hike out to the waterfall again. Then, I’ve got a couple more days here in Lesotho to explore. Next ArticleMelatsunyane Falls is Crazy! I’ve never been to Africa. This may seem a bit shallow, but I ‘ve had a longing to visit the continent since I read the books by Alexander McCall Smith, The No. 1 Ladies’ Detective Agency series. Also, my 29-year old son spent 3 months in Tanzania a couple of years ago doing research for his master’s degree project. He traveled on the back of a motorcycle to the local villages to interview farmers about elephant intrusion on farm land, in cooperation with Vi Agroforestry. I do want to stay very clear of any kind of warfare, so I’ll choose my destinations with care. Perhaps Lesotho?